I was hoping to try something new, and luckily a local establishment had just the thing on special. TINCUP Colorado Whiskey was going for a very fair price, and even better, I’d never heard of it before. I ordered it with one large ice cube and settled in. The nose on this whiskey is very pleasant, with light floral notes and just a touch of spice. It almost smells like some rums I’ve had in the past, but has migliori repliche orologi a bit more char to it as you might expect. Swishing the drink around reveals that it is pretty hearty as well, with thick trails that cling to the sides of the glass for a good long while. The first sip reveals a complex taste that is at the same time quite smooth. I wouldn’t call it bold at all. It is interesting. The floral notes of the nose do come through, as does the spice. Perhaps it was just the fall air, but I got just a tiny hint of something a little deeper, like pumpkin as well. This was also a very rich drink, and coated my mouth like melted butter. As the cube melted a bit the flavor did dilute more than I would like. I might recommend drinking this neat, or even with a small drip of water and Imitazioni Orologi Rolex some whiskey stones. It wasn’t bad mind you, I just felt the complexity of the flavor was lost after the large cube had time to melt a bit. 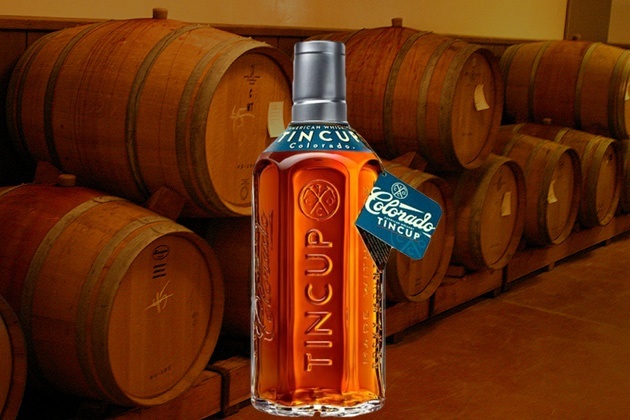 Checking their website, TINCUP claims their whiskey to be spicy and bold. I can’t necessarily say that I agree with that, but that is not a knock against the whiskey at all. Finding something simultaneously smooth and complex is a rarity, and I highly recommend the TINCUP to both experienced whiskey fan and novice alike.